Tally and TallyGenicom End User Customers – TG no longer makes these ribbons! Your supplier has no alternative? Choose GLM for replacement ribbons, for Tally T6218, T6215, T6212 and TallyGenicom T6312, T6306 printers. Sold as 6-Pack of six ribbons. Free freight on orders over $500. Rating (nM) for millions of printed characters per ribbon.Quantities less than 6-pack is available at list price. 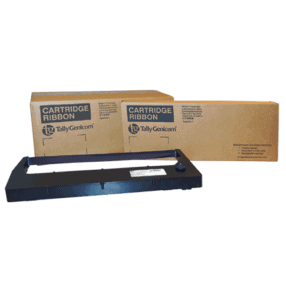 Compatible with both 6200 and 6300 printer families. This PCI part number is PCI62-63ST. Part # 082727 replacement; 40M, $374 as a 6-Pack. $63 per ribbon. Good deal. List price is $78. Part number PCI62-63ST. Part # 086039 replacement; 40M, $374 as a 6-Pack. $63 per ribbon. Good deal. List price is $78. Part number PCI62-63ST. Part # 080294 replacement; 25M, $254 as a 6-Pack. $43 per ribbon. Good deal. List price is $53. Part number PCI60-61ST. Part # 080296 replacement; 40M, $379 as a 6-Pack. $64 per ribbon. Good deal. List price is $79. Part number PCI60-61XL. Forget office supply houses! They don’t care about your printing issues. Get with folks that understand your Tally and TallyGenicom printer. Need a printer repair or an upgrade quote? Click “Get a Quote” and tell us what you need. Our “Three Strikes and It’s Out” service action plan. A PCI On-Site Service Loaner available to our multi-printer, multi-year service customers. Ribbon Discounts for customers with a multi-year PCI maintenance service. Pallet Quantity Discounts for power printer users. Would you like to consider standardizing on an all-TallyGenicom fleet? or contact us through CLICKING HERE.